The Korean Central News Agency reported that North Korea has suspended high-level talks with its southern neighbor because of the joint military drill, Max Thunder 2018, conducted by South Korea and the US. Washington keeps exerting pressure on Pyongyang before the two countries hold a summit on June 12. What is South Korea and US' intention behind holding the military exercises? How will North Korea's decision influence the upcoming summit? Global Times reporter Luan Xuan and Li Qingqing talked to two Chinese experts on the issue. The US has actively engaged North Korea recently for the upcoming summit. In response to US' positive steps, Pyongyang made concessions on certain issues, including agreeing to choose Singapore as the location of the summit. Instead of being an absolutely neutral country, Singapore is somewhat under US' sphere of influence. North Korea accommodated the US to some extent, which shows its sincere attitude toward the summit. According to the principle of reciprocity, South Korea and the US should respond to North Korea's friendly moves. The Max Thunder 2018 air combat drill is against the Panmunjom declaration wherein they agreed to cease all hostile acts against each other, and can be seen as military deterrence targeted at North Korea. It would be a mistake by the US to attribute North Korea's positive shift to military pressure and deterrence policies. The US believes that North Korea will surrender to maximum pressure tactic, and Max Thunder 2018 will make Kim further compromise before the summit. Such point of view doesn't go with peaceful negotiations, and South Korea and the US should stop the drill immediately. On May 6, North Korea publicly refuted US' statement of attributing North Korea's intention to denuclearize to US-led sanctions. 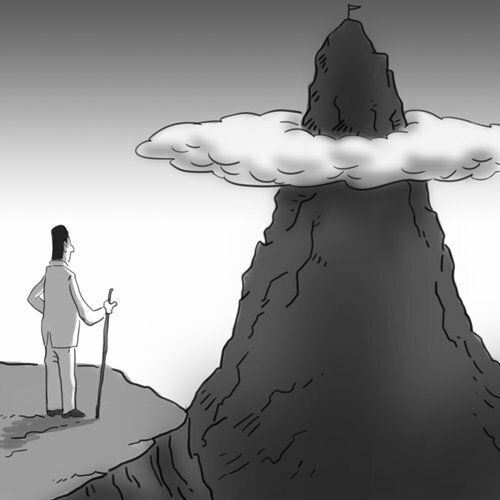 It can be seen that North Korea takes such assertions and actions to heart, for it believes the most important reason of its shift is Kim's decision instead of US' pressure. Consequently, North Korea regards the Max Thunder drills as a "deliberate provocation" and took retaliatory steps, because it was hoping for US and South Korea's friendly response initially. Besides, North Korea is also fighting for equal standing during the upcoming summit. North Korea and the US have made abundant preparations for the summit. For example, US Secretary of State Mike Pompeo visited Pyongyang twice to consult with Kim. Kim-Trump summit should be a peaceful negotiation which takes different parties' interests into consideration. However, North Korea's calling off high-level talks with Seoul shows that its dispute with the US has not come about in the short term, and it would be too optimistic to believe that the North Korean nuclear issue can be resolved through only one summit. North Korea's decision may bring some pressure on the US during the talks. The US-South Korean military drill is a means used by Washington to pile pressure on North Korea as US President Donald Trump prefers to coerce Pyongyang to make concessions under Washington's demands. He is trying to leave Pyongyang no space to utter any demand, and force it to bend to Washington's will. Pyongyang wants more bargaining power for the upcoming Trump-Kim meeting. Hence, by canceling talks with South Korea, Pyongyang wants to show Washington that it will not bow to its diktats. Meanwhile, North Korea has its own demands and some of them should be respected. Pyongyang needs guarantees for its reasonable interests in future discussions with the US. Suspending talks with South Korea shows Pyongyang's resistance to US pressure and can also increase the bargaining power for negotiations. Strategically, North Korean leader Kim Jong-un is eager for the meeting with Trump and has fully-prepared himself, including declaring to dismantle the Punggye-ri nuclear test site. So, I believe Pyongyang called off talks with Seoul for gaining a stronger hand at the summit and will not choose to cancel it just because of US-South Korea military exercises. South Korea has been trying to improve relations with the North and coordinating ties between Washington and Pyongyang. I hope President Moon Jae-in's visit to the US on May 22 will help Washington think more rationally. Trump has made it clear that North Korea must completely and permanently dismantle its nuclear weapons, Pyongyang believes that its space to maneuver has been limited. Hence, it is aiming at making the abandonment of nuclear weapons a phased process instead of a one-time act. Pyongyang's suspending talks with South Korea is mere posturing and can offer an excuse for Moon to persuade the US to be more rational and practical with pressure and demands on North Korea. The US-North Korea negotiations and the denuclearization process need to be completed in steps. I hope that the US can combine its firm stance with flexible measures.